Please find below details of two important meetings in Manchester on the evening before the Special Congress. At 7pm there is a meeting called by Bricup about Palestine Solidarity, ‘Antisemitism’ and the attack on Jeremy Corbyn (see below). At 9pm, there is a pre-congress UCU Left meet up. Open discussion, all welcome. Both meetings are being held at Chamber Space, 151 Deansgate M3 3WD. If you live in or around Manchester or if you are a delegate to the special congress, please make every effort to attend these important meetings. 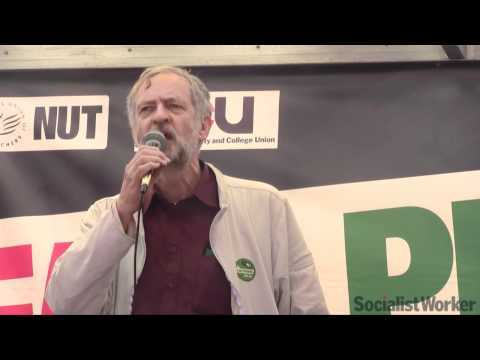 Amongst British politicians, Jeremy Corbyn has been exemplary as a consistent anti-racist, and a fighter for justice and equality nationally and internationally. That is what has made him a friend of Palestine, and a critic of Israel. That is also, however, what has made him the target of supporters of Israel, and one of the things that has made him the target of his right-wing adversaries inside the Labour Party. Better, it would seem, to have another Labour election defeat than to see a socialist, an internationalist and an anti-racist in Downing Street. As an anti-racist, Corbyn has always been a trenchant fighter against antisemitism. For Israel’s supporters, that is irrelevant. While real and vitriolic antisemitism gains ground in governing and opposition populist parties across Europe and in the USA, and neo-fascist organisations grow in Hungary, Germany, France, Sweden and Britain, Israel’s friends want to redefine ‘antisemitism’ to include criticism of Israel and of Zionism. Under pressure from some influential trade unions, the Labour Party NEC has now adopted the widely discredited IHRA definition of antisemitism. It is a definition, despite the intentions of its original author, that is being used to attack all forms of Palestinian solidarity, and even to outlaw claims that Israel is a discriminatory, racist state, or thus to question its legitimacy. How should this campaign of vilification be opposed? How are free speech on Israel and advocacy of Palestinian freedom to be defended? What can can trade unions do now to roll back this attack?